Broad City just finished up a banner first year on Comedy Central: A renewal, tons of thinkpieces on why everyone should be adoring this show as much as the critics, the blessings of Lady Gaga and Lena Dunham. But before the show premiered in its new format on Comedy Central, it had its first life on the Internet as a web series with the same name and concept. It was there that the series caught the attention of Comedy Goddess Amy Poehler. 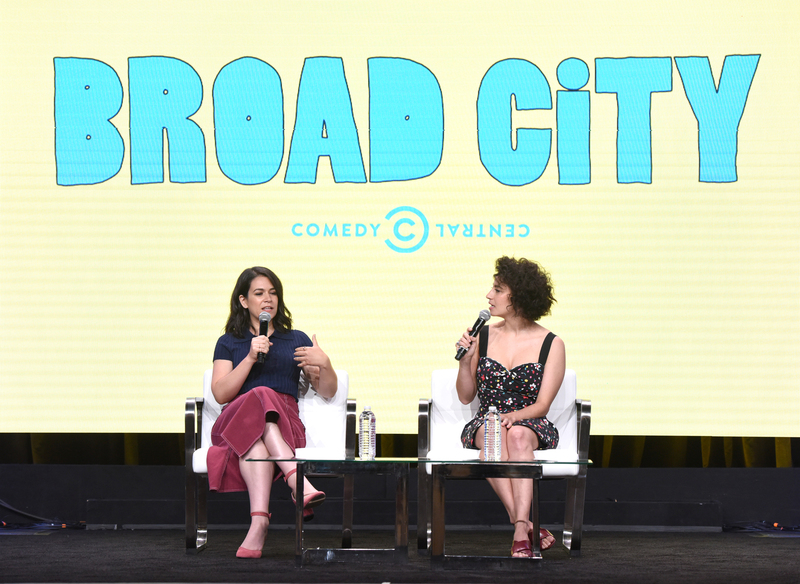 Now we get to listen to Poehler and Broad City stars/creators Abbi Jacobson and Ilana Glazer wax poetic on the process of bringing their show, their comedy, and their personas from YouTube to the rest of the world. There's a special pleasure in watching genuinely talented, smart, and funny people talk about making their genuinely good, smart, and funny things. This is especially true when it's a mixture like this one: Of new, fresh faces and established comedy vets. And in the still relatively new age of Internet content making the leap to more mainstream audiences, there's a blending of worlds that's taken place with Broad City that we should all probably be paying attention to. What I think makes Broad City interesting, and what is kind of demanded now of shows, is diversity. In cast, in voice, it's almost impossible to have a show about New York City with, like, six white people living in a building. And the character of Ilana is like constantly regretting that she isn't anther race, just wishing and just so fascinated by race — and [Glazer and Jacobson] talk about it all the time, race and class. And it's a very diverse [writer's room], and a very diverse cast, and Abbi and Ilana are always pushing for that, because that's kind of how they live their lives, what their lives are. That's what a lot of twenty year-olds lives are, is this beautiful mix of a lot of different ethnicities and races and points of view. So I think that's what makes Broad City broad, not so much the comedy.